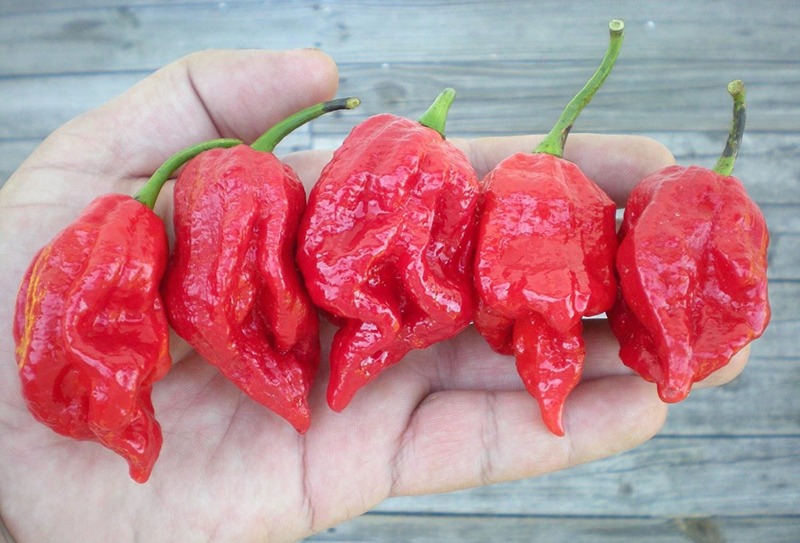 7 Pot peppers are known for their wicked heat, and the 7 Pot Brain Strain is no exception. This is a scorching hot pepper, with a fruity, slightly smoky flavor lurking behind the sun-like burn. But what makes the Brain Strain different is its looks. This chili has been cultivated to look much like the human brain – lumpy, folding, and bulbous – with more internal membrane than most other 7 Pot chilies. It’s a unique visual twist not often found on the pepper scale. How hot is the 7 Pot Brain Strain? Mind erasing is right. Comparing the Brain Strain (1 million to 1.35 million Scoville heat units) to our jalapeño reference point (2,500 – 8,000 SHU), it’s a whopping 125 to 540 times hotter. At its minimum, it’s as hot as the hottest possible ghost pepper. And at its peak, it blows past the more common Trinidad 7 Pot peppers to become as hot as some Trinidad Moruga Scorpion peppers (1.35 million Scoville heat units). 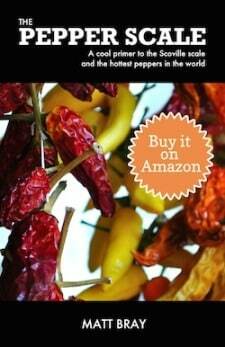 Granted – they are all super-hots, so great care needs to be taken with this or any other scorching chili pepper. 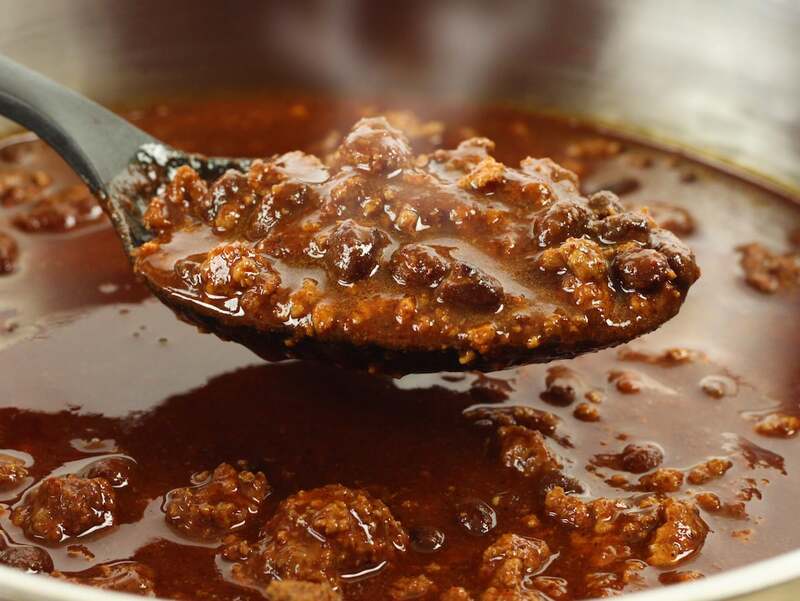 If you plan to handle the Brain Strain, wear gloves and kitchen goggles to keep extreme chili burn at bay, and know what to do if that chili burn happens. 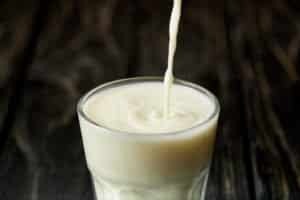 What does the Brain Strain look like and taste like? This is where the 7 Pot Brain Strain has its true uniqueness. The Brain Strain pepper was cultivated by chili grower David Capiello. He selectively bred 7 Pot peppers over a course of seasons – choosing ton only cultivate those plants that had “brain-like” traits – pocky, folded, and bulbous. The result is a super-hot pepper with a distinct brain-like look, both on the outside and in. The interior contains more membrane (where much of a chili’s heat is found) than other comparable peppers. It’s a fun super-hot in this way – few chili peppers on the Scoville scale nod in their name to their look. 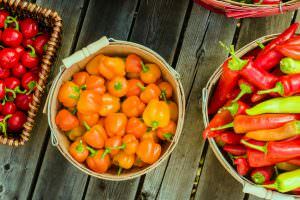 The Bulgarian carrot pepper comes to mind, but for super-hots it’s typically names that only speak to their heat (Carolina Reaper, Komodo Dragon). Of course, this pepper truly strains the brain, too – so the name works in all ways. 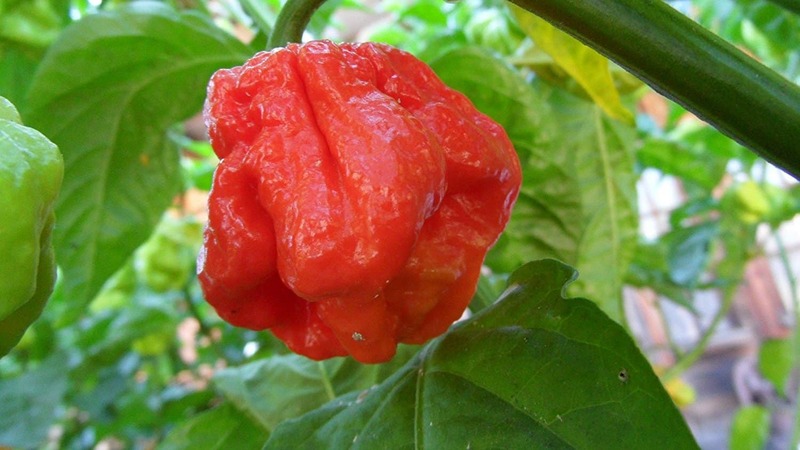 It looks much like other 7 Pots (habanero-like in appearance, aging from green to red), but it can also grow a tail, similar to the Trinidad Moruga Scorpion. 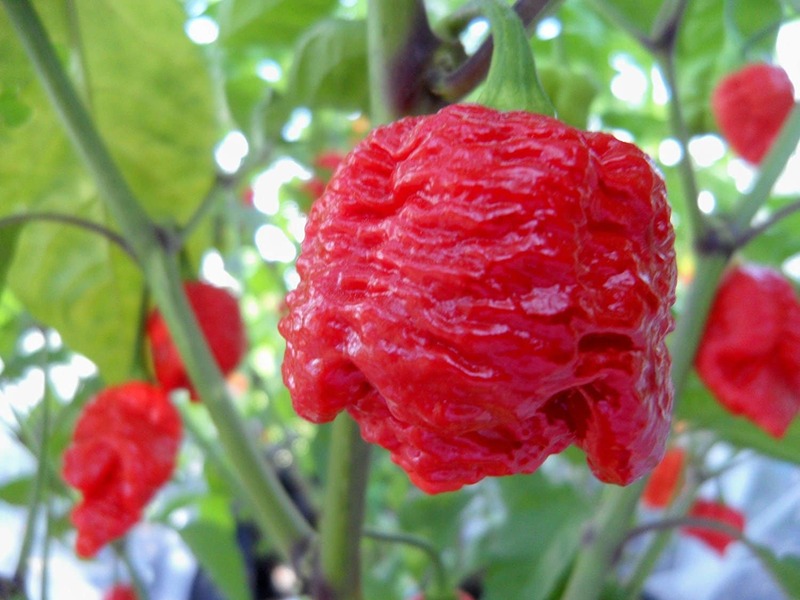 In fact, there is talk that the 7 Pot Brain Strain is a Moruga Scorpion, though most believe that these are two distinctly different chilies. How can you use a 7 Pot Brain Strain? 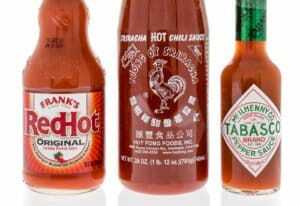 Like with other super-hot peppers, the 7 Pot Brain Strain’s usage tends towards extreme foods, like mind blowing hot sauces. If you can find it fresh (it isn’t common), a simply sliver of this pepper is enough to heat up a pot of soup or chili stew. That’s where the term “7 Pot” comes from – one hot pepper is enough to spice up seven big pots of soup. You can also use 7 Pot Brain Strain powder in a similar fashion, though take care. A small dash or two is enough for most meals. Where can you buy 7 Pot Brain Strain? As mentioned, finding this pepper fresh is not common. You’ll need to look to chili farms near you to see if they are carrying this variety. Though, if you want to grow them yourself, you can easily buy 7 Pot Brain Strain seeds online. There are also a number of products available, including Brain Strain powder. The look is the thing with this chili. There are other 7 Pot peppers that are likely more easily sourced, but if you covet extreme eats with personality, the 7 Pot Brain Strain is one of a kind.